China’s yuan finished Monday afternoon trade at a near 4-week high to the dollar after the central bank revived a “counter-cyclical factor” in its daily fixing to support the currency, halting a record 10-week slide that rattled global markets and irritated Washington. The announcement was seen as the latest signal from the People’s Bank of China (PBOC) that is not comfortable with further depreciation in the yuan which could spark capital outflows from the cooling economy. The move late on Friday came a day after the latest Sino-U.S. talks aimed at resolving the trade dispute ended with little progress, with tougher U.S. measures expected to kick in next month that could add more pressure on the Chinese currency. President Donald Trump, in an interview with Reuters last week, had accused China of manipulating its currency to help cushion the blow from U.S. tariffs on Chinese imports. Monday's domestic closing price was the strongest since Aug. 1. Spot yuan CNY=CFXS opened onshore trade at 6.8080 per dollar and closed domestic trade, at 0830 GMT, at 6.8171, or 19 pips firmer than the previous late night session close. The PBOC said it was adjusting how the yuan’s official midpoint was calculated to keep the currency more stable amid dollar strength and trade tensions, but gave no details as to how the new “X” factor is derived. With little sign of compromise in the trade talks, most market watchers had predicted it was only a matter of time before the yuan tested the closely watched and psychologically important support level of 7 to the dollar. Prior to the market opening on Monday, the PBOC lifted its official yuan midpoint CNY=PBOC more than expected to 6.8508 per dollar, 202 pips, or 0.3 percent, firmer than the previous fix of 6.8710 on Friday. The guidance rate was 127 pips higher than Reuters’ estimate of 6.8635 per dollar. The currency firmed initially in spot trade before swinging between gains and losses. The offshore counterpart CNH=D3 rose to a high of 6.7818, its strongest since July 31. It traded at 6.8047 as of 0830 GMT. 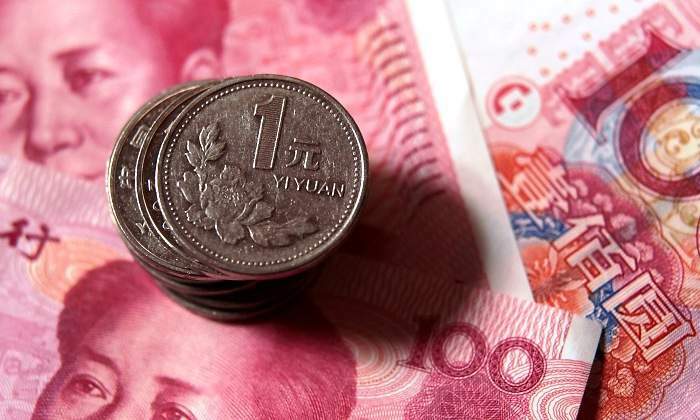 Traders said the policy move had triggered some dollar selling since Friday night, but gains in the Chinese currency were capped by bargain hunting for cheaper dollars on Monday as many saw strong resistance at 6.8 per dollar for now. The PBOC introduced the “X” factor in May 2017 when the yuan was firming against a weaker dollar. But Goldman Sachs said it has been used in both direction at various times: to slow yuan gains and to curb yuan losses. Traders suspect the PBOC may already have been testing the waters in recent weeks for a re-activation of the measure as the dollar continued to climb. It was last believed to have been used early this year, when the yuan was firming. U.S. policymakers look set to continue raising interest rates well into next year, supporting the dollar for a while longer, while China recently started shifting to easier conditions to shore up slowing economic growth.The yuan had appreciated rapidly in the six months after the counter-cyclical factor was first introduced, Hu said. Late gains in offshore markets after the announcement on Friday spared the currency from an 11th consecutive weekly loss. But it had already posted the longest such losing streak since the exchange rate was unified in 1994. As of 0830 GMT, the onshore yuan had weakened 4.6 percent against the dollar this year.